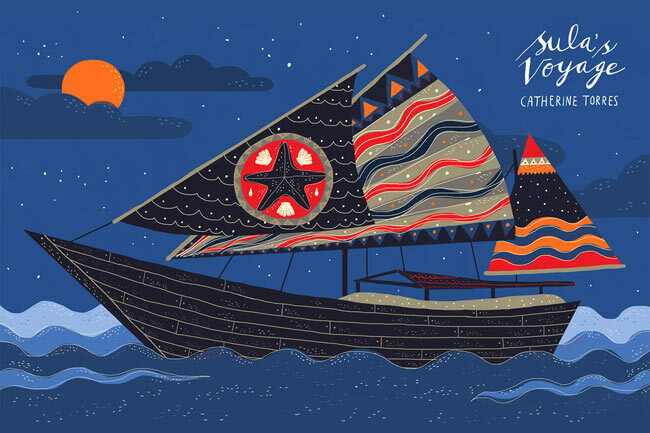 Filipino author Catherine Torres‘s first middle-grade novel Sula’s Voyage was published by Scholastic Asia last year. In 2014, it was first runner-up for the Scholastic Asian Book Award, a prize for unpublished manuscripts by ‘writers of Asian descent, living in Asia’; the SABA is a joint initiative of The National Book Development Council of Singapore (NBDCS) and Scholastic Asia. I was on the judging panel that year and met Catherine briefly at the announcement of the award at the Asian Festival of Children’s Content (AFCC) – it was great to put a face to her manuscript then and it is wonderful to welcome her to MWD now. Catherine has twice won Carlos Palanca Memorial Awards in the Philippines for her writing and her short stories have appeared in anthologies in the Philippines, Singapore and the US, including Tomo: Friendship Through Fiction – An Anthology of Japan Teen Stories (Stone Bridge Press,2012), published to ‘bring readers closer to Japan and [contribute] to long-term recovery efforts’, following the 2011 Japan earthquake and tsunami. Her first collection of short stories for adults, Mariposa Gang and Other Stories, was also published last year. 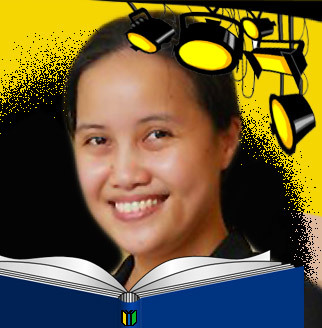 Catherine is a diplomat and is currently the Philippine consul in Berlin. Previously, she has had postings in India and Singapore, as well in Manila. Whilst in Singapore, she was part of Write Forward, an online writing workshop by Birbeck College Writing Programme and British Council Singapore, and had several works of flash fiction published and included in an art installation as part of the British Council’s Writing the City literary arts platform. 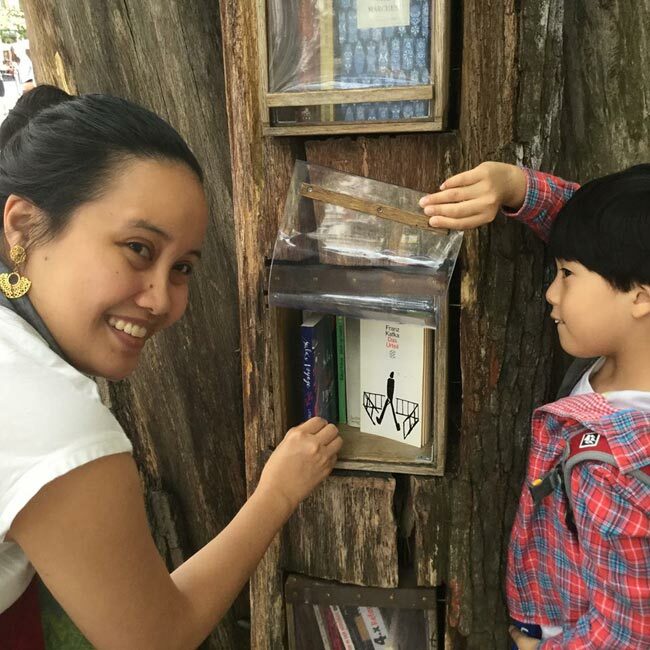 As if her life wasn’t busy enough, Catherine also translates Korean works into English with her husband, Sohn Suk Joo, a Korean scholar; they met whilst on a student exchange programme in Japan; and they have a son. 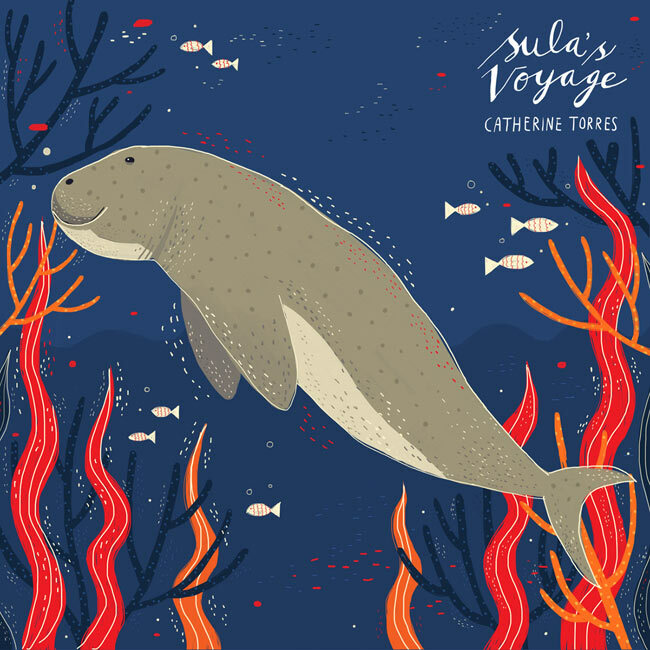 In this interview, Catherine talks about Sula’s Voyage and more – you can also read my review and visit the Sula’s Voyage website. 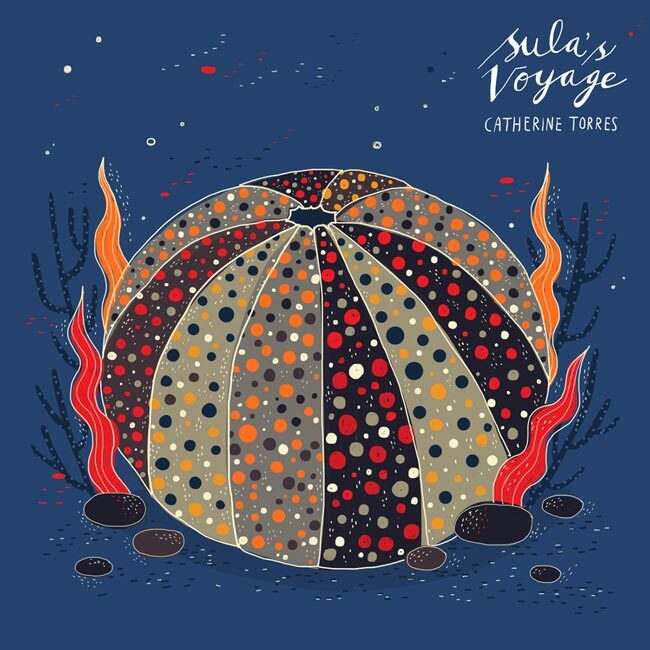 And just before we meet Catherine now, a big shout-out and many thanks to artist Kathrin Honesta for permission to reproduce some her fabulous artwork from her design project for the very striking cover of Sula’s Voyage. Do explore her work on Behance. Welcome to MWD, Catherine. 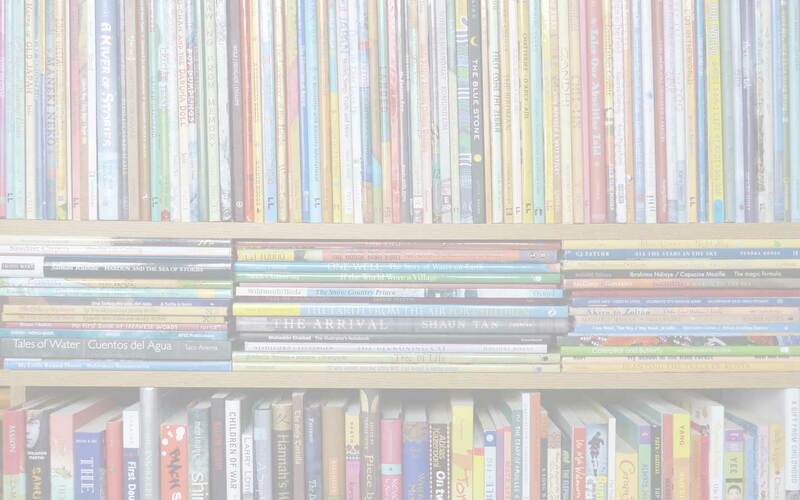 Please describe your journey as a writer up to your entry in the Scholastic Asian Book Award (SABA) – and how did you hear about the competition? When I was four or five, my parents pulled a prank on me and my sister that I like to think of as instrumental to my becoming a writer. One day a van stopped in front of our house and delivered a box of Childcraft encyclopedias—one of those book sets that came in fifteen volumes, each tackling a different subject. My dad told us we could have the books for a week, at the end of which the van would come to take them back. So, gullible as we were, my sister and I devoured the books, starting with the first few volumes which were full of stories and poems with beautiful pictures and drawings. The week passed, and of course the van never came back. By then, though, I was hooked on reading, and I think that’s where my journey as a writer began. Fast forward three decades and I was living and working in Singapore, as a diplomat. But I had a secret life—not as a spy like you might see in the movies, but as a writer (which, come to think of it, is a lot like being a spy). I had been writing since I was in fifth grade, when I joined the school paper, but most of what I wrote was creative non-fiction. I joined essay writing contests, one of which got me onto a month-long cultural exchange programme in Japan, where I met my would-be husband, a fellow delegate from Korea (but that’s another story). I only rediscovered fiction-writing in my mid-twenties. My first diplomatic posting, in 2007, was to India, and looking back, I seem to have stored up a lot of creative energy and inspiration in my three years there. These ideas would start flowing out of me when I moved to Singapore and needed an outlet to stay sane amid the demands of work. I was in Singapore when the Asian Festival of Children’s Content was inaugurated and it was there that I learned about the SABA. What appealed to me was the idea of writing something about Asia, about home. So although my writing up until then had been mostly geared towards grown-up readers, I decided to give it a try. Before Sula’s Voyage, I entered another manuscript, a hodge-podge of story ideas that, in retrospect, didn’t quite gel together. Fortunately, I’m not easily deterred, and I decided to give it another shot before wrapping up my tour of duty in Singapore. So, a couple of weeks before flying back to Manila in August 2013, I lugged the six copies of the manuscript (yes, hard copies were still required then) to the SABA secretariat. Which authors/books have influenced you as a writer? Growing up, two of my favorite writers were Frances Hodgson Burnett and Lucy Maud Montgomery. Both wrote stories about feisty young females and with a strong sense of place, which must have stayed with me. Later on, I would be drawn to travel writing, such as those by Pico Iyer, and nature writing, like those by Diane Ackerman, as well as a combination of both, which I think is best embodied by Peter Matthiessen‘s Snow Leopard. For fiction, my favorites were Gabriel Garcia Marquez, Michael Ondaatje, Arundhati Roy, Nadeem Aslam, Zadie Smith, Junot Diaz, and Clarice Lispector, just to name a few. Closer to home, Rony Diaz and F. Sionil Jose are inspirations. What did it mean to you for Sula’s Voyage to be recognised by the SABA in 2014? I remember walking into a big bookstore when we had just arrived in Singapore and wondering how I could possibly add anything with my name to those shelves brimming with titles. Getting Sula’s Voyage shortlisted for SABA, and its subsequent publication, made what felt impossible, possible. As a full-time member of the Philippine diplomatic corps, when do you find /make time to write? I wish I could say I wake up at four o’clock in the morning to put in two hours of writing before I start getting ready for work and getting my son ready for school. In fact, I only get to write with whatever time is left over from my day job and mommy duties: nights, weekends, holidays—maybe that’s why most of what I’ve written are short stories. With Sula’s Voyage, it was different. I was seized by Sula’s voice and character, and I was able to write the story, revising along the way, in a few months: I would write on the bus, in the car while waiting for a colleague, in coffee shops, on the floor while my husband and son slept… I’m waiting for a wind like that to come pluck me up and whirl me around again. Sula is a complex, teenage mixture of self-confidence and insecurity, and we readers get to know her just when she’s feeling the rug of her self-identity has been pulled out from under her feet. Please tell us something about her, as your creation? I think Sula is probably the repository of my anxieties about being an outsider (living abroad, amid other cultures, it’s hard not to feel like one), as well as my concerns for my son and how our itinerant lifestyle could lead to him growing without moorings. She first appeared in a short story I wrote, ‘Nomad’, about an exchange student in Japan who falls in love with a much older marine biologist. I tried placing that story with a couple of journals but it never got published – for good reason, I realize now. But Sula stayed with me. All I knew was that I wanted her to be called Sula, from Sulawesi, and I wanted her to have a special connection to the sea. In fact, a central part of the story is set in the Silawesi Sea, in a Sama-Bajau village, and there is a spiritual layer to the story that comes from Sama-Bajau culture. Can you give us some of the background to this aspect of the book? As regards Sula, as I just said, I wanted a character who had a special relationship with the sea, because the sea has always held a strong pull for me. If you read my short stories, the sea appears in many of them. It’s funny because I didn’t grow up or live near the sea, but maybe it’s part of living in an archipelago. That said, I’ve often wondered what it must be like to be Sama-Bajau. No other people has forged such close ties to the sea. With them, it isn’t only a socio-economic relationship, or a tourism slogan you trot out when you meet foreigners (You have to come visit the Philippines, we have 7,107 islands!). With them, as you said, there’s also a spiritual dimension to the relationship. At the same time, I was conscious of the need to steer clear of a stylized or stereotyped view of these so-called ‘sea gypsies’. In school, we were told, erroneously as it turns out, that when Sama-Bajau babies are born, they are ceremoniously tossed into the sea. I wanted to get beyond that. The sea is almost a character in its own right; it also gives the book a global, environmental dimension. Where, for you, does the sea fit into the narrative and were there any particular challenges in creating that balance of fact and allegory? I’m a frustrated environmentalist. When I was in fifth grade, a friend and I put up this group called ‘Sisters Against the Destruction of the Earth’ (SADE) that lasted all of two weeks. When I joined the foreign ministry, I was exposed to maritime issues, such as efforts to work out cooperation mechanisms to protect cross-border seas. The difficulty of coming up with such mechanisms brought home to me why we have activist groups working on these issues. I did a lot of research for the book because I wanted it to be scientifically grounded, especially when it came to problems facing marine conservation. (Sadly, something still did slip by me—I mistakenly included butanding among the species studied by Sula’s father, but he studies whales, and butanding are whale sharks!) That said, I often started with the elements that felt right and then did the research, rather than letting the scientific facts drive the story. Sula spends the summer with her parents’ best friends Tita Lupe and Tito Guido and their three children. I love that Tito Guido is Mexican: it adds another layer of colour to the narrative, especially in your descriptions of food and your incorporation of Spanish words and phrases. Why did you choose to include this added cultural dimension? Is there a large Mexican diaspora in the Philippines? It’s bizarre that Sophia Lee, who won the SABA that year, and I both had Mexican characters in our manuscripts – we only found out about the coincidence a few weeks before our books were published, when we traded soft copies of the manuscript to prepare for the launch. Reading the two books, you could be forgiven for thinking there must be many Mexicans in the Philippines, which isn’t exactly the case. For me, the character of Tito Guido came about because I wanted to write something about the Manila-Acapulco galleon trade. How did you find the process of working on your manuscript with Scholastic to get it to its published format? It was wonderful working with the Scholastic team, including my editors, Daphne Lee and Priya Kulasagaran. It would probably make for a more interesting tale if there were tantrums and the like between me and my editors, but as it was, they were kind and tactful even as they were candid and truthful about their thoughts on how the text could be improved. One noteworthy omission in the final version was a liaison between Sula’s ‘cousin’ Mira and a house guest. For me, that was a good call, and I wonder if you could take us through that shift? One piece of advice often given in books and courses on writing is to let your work hibernate for a few weeks or months after you write it. 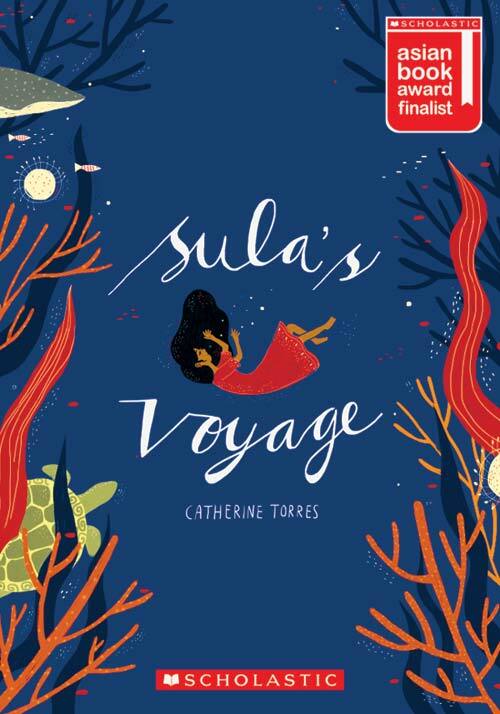 With Sula’s Voyage, I had the benefit of more than a year between the time I submitted the manuscript and the time that Scholastic informed me that they would like to publish it. When I reread the manuscript after that interval, that scene struck me as completely false and out of place, so it was easy letting it go. Almost at the same time as Sula’s Voyage, your collection Mariposa Gang and Other Short Stories was published for an adult audience. You bring all the very different lives of the characters into sharp focus but there’s nothing clear-cut about the endings of their stories, and I still can’t make up my mind whether they are ultimately depressing or it’s okay to feel hopeful for the characters’ unwritten futures… They have certainly stayed with me since I read them. Where do you place yourself as their creator on the barometer of hope, as it were? How different, if at all, was the writing process for the short stories, compared with Sula’s Voyage? Taken collectively, the short stories took a great deal more time and energy to write. The length, which obliges you to distil everything, surely has something to do with it—a novel gives your writing more space to stretch and sprawl. 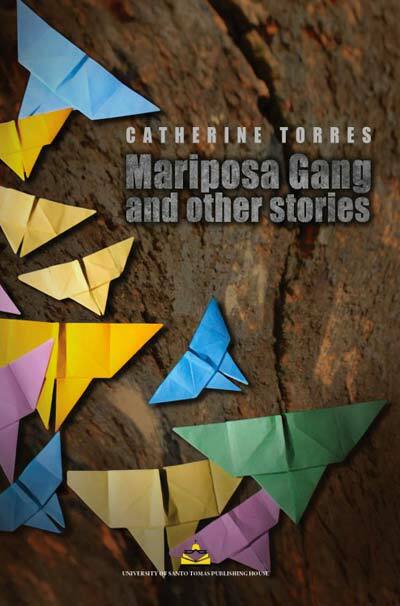 The one thing the protagonists all share in Mariposa Gang, wherever the story takes place, is their Philippine heritage. This, of course, creates interesting dynamics and tensions in themes such as exile, belonging and alien environments that can also be compared across the stories. You yourself have lived all over the world – how have your travels influenced your writing; and what perspective do you think your position as a member of the diplomatic service has given you on the identity of the Filipino abroad and the Philippine Diaspora? I’ve found writing helpful in making sense of novel situations and issues I’ve encountered in the places where my work has taken me. 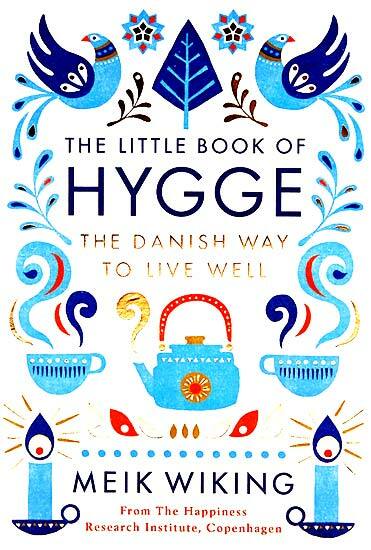 I’ve also found it indispensable to staying sane when those situations have been especially distressing (which doesn’t happen all that much, thankfully). As a writer, I’m wary of using my writing to amplify my socio-political views – we diplomats are often accused of spouting lies and propaganda. But I also feel the need to witness, and to this end, I do allow aspects of the human stories I encounter in my work to seep into my writing. Have you done any school visits/are you involved with any literacy projects in the Philippines? Until then, I try to support the projects of other literacy advocates, such as a book giving project in Barangay Bawing, GenSan, one of the places mentioned in Sula’s Voyage. Recently, I’ve put up a series of videos for the Read Out Loud Challenge of National Book Store, a Philippine book store chain that has promised to donate one library for every 75 videos posted of people reading from a book. I know that you are living in Berlin at the moment. Have you had a chance to visit the International Youth Library in Munich at all, or have you connected with other writers in Germany/Europe? 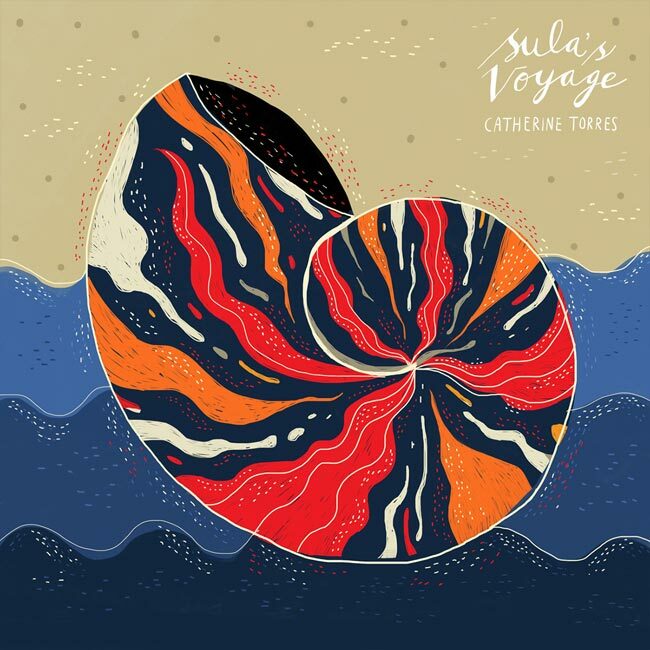 The IYL is on my bucket list, although I have sent copies of Sula’s Voyage to them through a friend who did a residency there, Dr. Myra Garces-Bacsal. 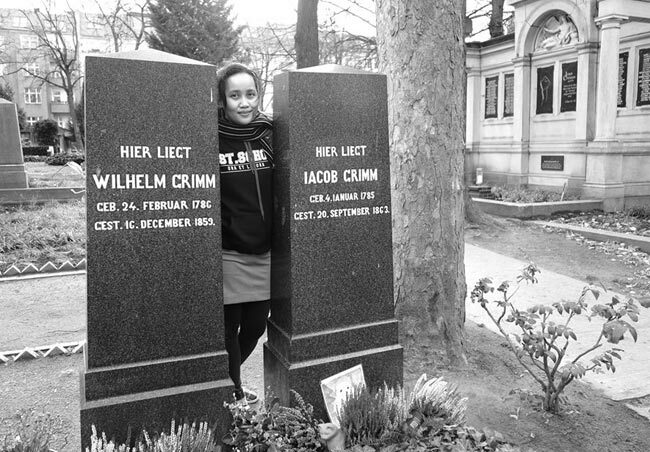 I’m afraid I’ve also been slow to connect to the local literary scene in Germany/Europe, and I take full responsibility: unlike in Singapore where I had the benefit of my husband and a cousin to help take care of my son, I’m on my own here in Berlin so my writerly pursuits have taken a backseat to work and mommyhood. Noli Me Tangere by José Rizal. Can I choose the view from the mountaintop without having to take the hike? My laptop, with several years’ worth of photos and writing. 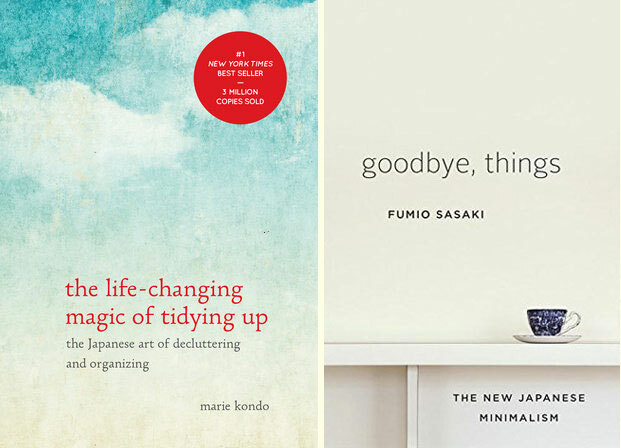 Gotten rid of one-fourth of our stuff (aiming for half) because of Marie Kondo’s The Life Changing Magic of Tidying Up and Fumio Sasaki’s Goodbye, Things. I once applied to be a photographer on a cruise ship. Heavy lifting—we’re moving flats, so writing will have to wait. AFCC 2014, Bucherwald (Berlin), Catherine Torres, Fumio Sasaki, Goodbye Things, he Life Changing Magic of Tidying Up, Jose Rizal, Kathrin Honesta, Marie Kondo, Mariposa Gang and Other Stories, Meik Wiking, National Book Development Council of Singapore, Noli Me Tangere, SABA (Scholastic Asian Book Award), Sula's Voyage, Sulawesi Sea, The Little Book of Hygge, Tomo: Friendship Through Fiction—An Anthology of Japan Teen Stories. Bookmark. Thank you for introducing me to Catherine Torres. I’m adding SULA’S VOYAGE to my TBR list. I hope you enjoy it, Kathleen – I’m sure you will! Visit Catherine’s websites for Sula’s Voyage and Mariposa Gang. Find Catherine on Twitter, Instagram and Facebook.